The Nikon Historical Society, based the US, has a worldwide membership. 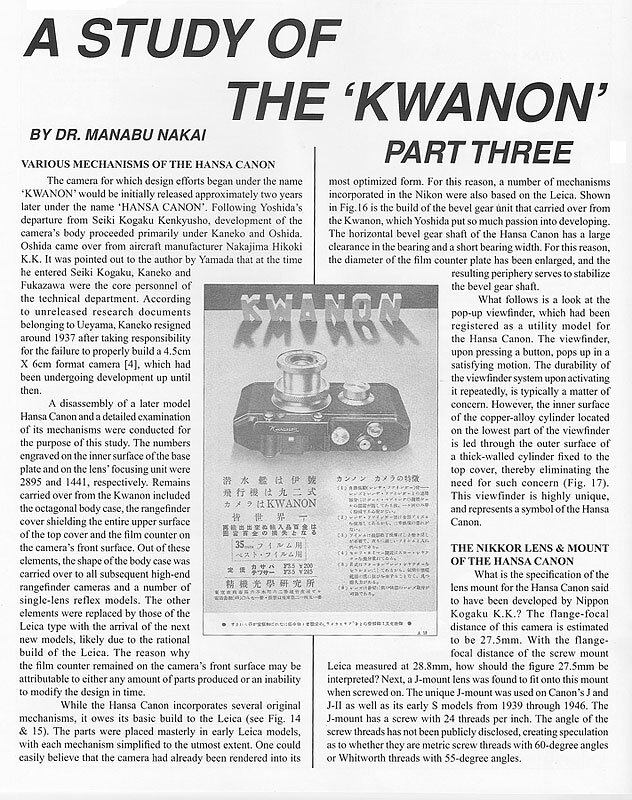 Our Nikon Journal, published four times a year, concentrates on the history of Japanese photo equipment from the perspective of the Nikon Camera Company. Visit the NHS on Facebook. 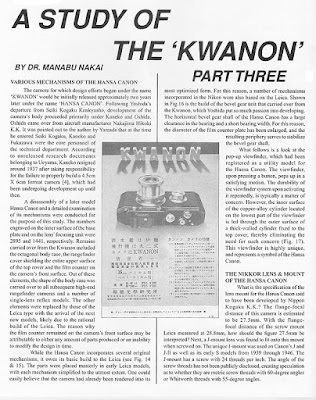 On page 14 of Nikon Journal 109, we have the third and final installment of Dr. Manabu Nakai's scholarly research paper on the groundbreaking Kwanon, which became the Hansa Canon. So much has been written about this camera, yet Nakai-san has come up with new information. To read the complete article join the NHS. Two files are available, issues through #100, and #101 through the latest issue. Download Index PDFs. Archived technical articles, past convention reports, and reprints from previous NHS web sites, in Adobe PDF format. Go to the archives on Google Docs. Presentations of rare Japanese equipment, created by Michio Akiyama! NHS's Stephen Gandy maintains one of the most complete sources of information about Nikon rangefinders.